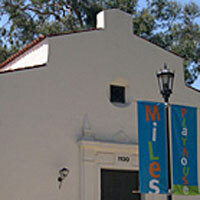 Green Light Productions present "shorties", five short, comedic plays written and directed by women, running today, March 19th-29th at The Miles Memorial Playhouse in Santa Monica, playing Thursday, Friday & Saturday at 8pm, Sunday at 2pm. Tickets $10-20 available March 1st at www.GreenLightProductions.org. Green Light Productions produces plays by women. We created Shorties, a production of new, short, comedic plays written and directed by women to celebrate women in comedy. Selected from hundreds of submissions, our Shorties, written by 5 incredibly talented local female writers, show just how creative, honest, brave and FUNNY women creating theatre can be. Announcing the Shorties: It's Not About Race by Jennie Webb Directed by Randee Trabitz. Featuring: Christina Feinberg & Jillian Leigh A black comedy at the beach wherein lines are crossed. A visit to Santa Monica's "Ink Well" gives two friends an unexpected perspective on what it means to belong, and to be "the other." Sweet Nothings by Raegan Payne Directed by Michelle Joyner. Featuring: Harriet Fisher, Tinks Lovelace & Eric Toms Mary has made the most important discover of her life. Now no one will leave her alone. You Again, a reunion of sorts by Annie Wood Directed by Amy Stoch. Featuring: Gil Hagen Hill & Susan Kussman Two old flames meet at a bar and reminisce. How I Saw It by Stacy Tanner Directed by Katherine James. Featuring D.J. Harner & Gerald Rivers When a transient shows up at her office to pitch his screenplay, Mallory Clarkson is forced to admit the real reasons behind her sudden retirement from the film industry. It Has To End In Tears by Jen Huszcza Directed by Alex Dilks Pandola. Featuring: Kimberly Alexander, Jonathan Brugal, Jill DeLuca & Gayla Johnson When a human couple adopts a rescue dog, their cat is most displeased. ABOUT GREEN LIGHT - Green Light Productions, founded in 2003 by Artistic Director Alex Dilks Pandola, develops new work by women. After producing over 100 plays written by women in Philly and NYC we relocated to LA and produced GLO2014 (Green Light One-Acts) in November 2014 to sold-out audiences at The Miles Playhouse in Santa Monica. Past productions include a multi-year theatrical tribute to WOMANHOUSE, the historic feminist art and performance installation, the Philadelphia premiere of Neil LaBute's Fat Pig, modern adaptations of Shaw's Mrs. Warren's Profession and Ibsen's Hedda Gabler, nineteen GLO plays and over a hundred short works that were developed for an annual performance series called New Light. Follow on Twitter @greenlightpros.